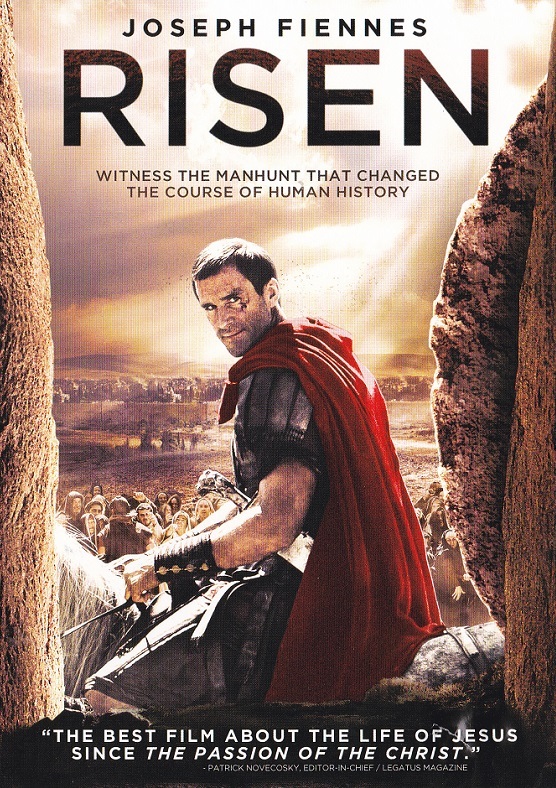 Good Movies, based on Judeo-Christian values, for you and your family to watch and enjoy. Our Recommendation and Comments: We highly recommend this movie for mature adults. One of the major song hits that Rich Mullins wrote is “Awesome God”. We think this movie has been under-rated and under-appreciated. We hope to encourage a resurgence of interest in this movie and we plan to promote it in the Raleigh, NC and the Saint Petersburg, FL areas. This movie shows again, the importance of Dads. So many of our dysfunctional families in the world are due to either the lack of a father figure (children being raised by the mother only) or an abusive or non-loving father. Ragamuffin is similar in many ways to the recent movie "I Can Only Imagine" which was about another music writer and artist who also had a rough upbringing with his father. 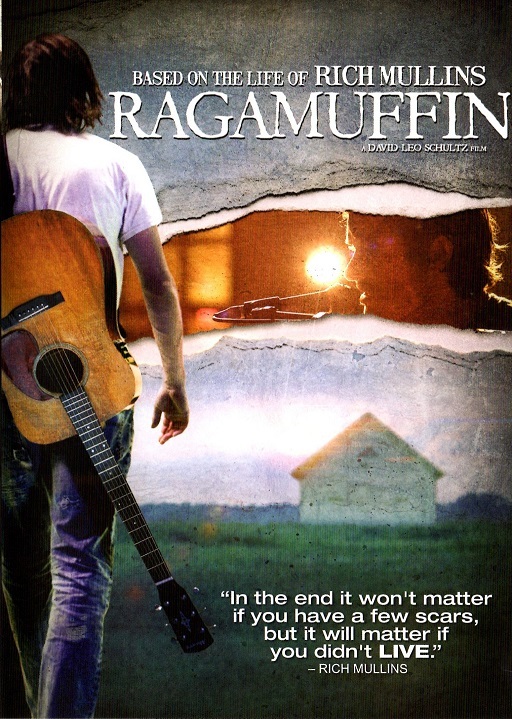 If you liked that movie, you will like Ragamuffin. When you watch this movie in the movie theater or on the DVD, make sure you watch the credits at the end as well, because you will get a glimpse of the real Rich Mullins and one of his funny stories. WARNING: This movie is NOT RATED but we would rate it a PG-13 for Language and the serious subject matters of drugs and dysfunctional child rearing. The Dove Foundation (dove.org) cautions for Language and Drugs. RAGAMUFFIN is based on the true story of Rich Mullins, a musical prodigy who rose to Christian music fame and fortune only to walk away and live on a Navajo reservation and to minister to the people. An artistic genius raised on a tree farm in Indiana by a weathered, callous father, Rich wrestled all of his life with the brokenness and crippling insecurity born of his childhood. A lover of Jesus and a rebel in the church, Rich refused to let his struggles with alcoholism, addition and women tear him away from a God he was determined to love. As he struggled with success in Nashville, depression in Wichita, and oblivion in the Four Corners, Rich became one of the first of his time to live honestly amidst a culture of religion and conformity. To see some more details about this movie click on this link RAGAMUFFIN . 137 mins. 16×9 Widescreen. Spanish subtitles. 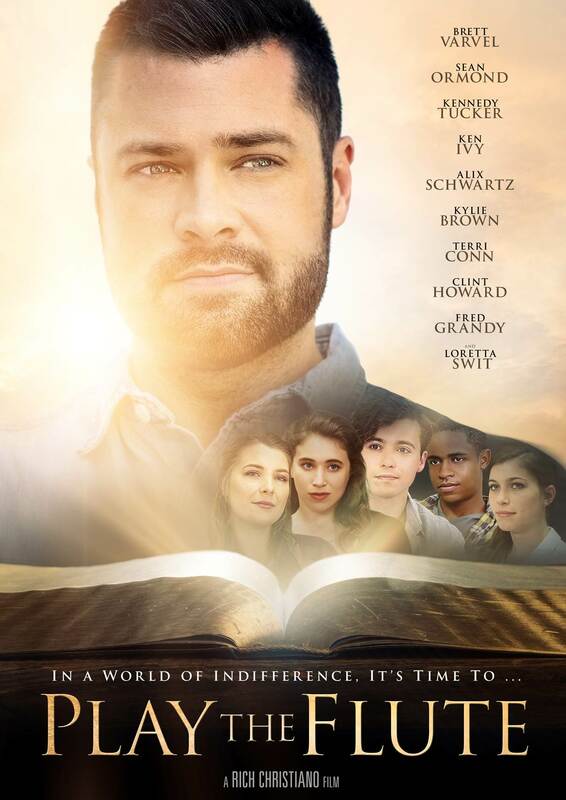 Play The Flute Movie is about a new Youth Pastor (Brett Varvel) who takes over an indifferent youth group to try to motivate his students to read God’s Word and get serious about their relationship with the Lord. Features a talented cast including Brett Varvel, Sean Ormond, Kennedy Tucker, Ken Ivy, Alix Schwartz, Kyle Brown, Terri Conn, Clint Howard, Fred Grandy (Love Boat), and Loretta Swit (a regular on M*A*S*H). This movie does not yet have a MAAP rating, but we would rate it PG. Every adult should see this movie but especially teenagers and young adults. I encourage parents to view the movie trailer. Also, while I do not like to take away any surprises in the movie, concerned parents should look at the short descriptions of of some of the plot elements at the end of these paragraphs below. This movie is playing exclusively in theaters in the format of a"private" showing. A "private" showing means that a person or group is bringing the movie to the theater (and not the theater or movie chain). One advantage of "private" showings is that there are no commercials (have you noticed that commercials now run for over 20 minutes!). And many of the movie commercials are disturbing to many people especially families with small children. Locally this movie will be shown at 7pm at the Regal Largo Mall 8 Theater in Largo, Florida on Tuesday, Feb 19th. It contains no bad language. The Bible Teacher challenges one of his students to a foot race. The student has to promise to read the bible verses assigned for a month if the teacher wins. But he loses. You will have to watch the movie to find out what the teacher has to do since he lost the race. There is no violence in the movie except for the verbal bullying and teasing of one of the students who likes to read the Bible and who also stutters when under stress. Eventually most of the students become committed to read the Bible assignments and their behavior begins to improve. The Bible Teacher has the students visit a cemetery to emphasis the importance of their eternal future. Two of the male students are shown cheating a store owner on a regular basis but one of them comes clean and tells the store owner of his cheating and pays back the money stolen. It has no sexual displays except the Bible teacher is falsely accused by one of his disgruntled female students of sexual harassment. One of the highlights of the movie is that the students themselves prove that the accusations are false. There is a death in the movie - the Bible teacher dies fairly young but one his most belligerent student has now himself become a Youth Pastor and does the eulogy. If you or your group would like to bring this movie to your local community, contact rich@christianmovies.com or call 949-215-9121 for more information. 18 For John came neither eating nor drinking, and they say, ‘He has a demon.’ 19The Son of Man came eating and drinking, and they say, ‘Here is a glutton and a drunkard, a friend of tax collectors and sinners.’ But wisdom is proved right by her deeds.” Also see Luke 7:32. Basically most people aren't even listening. They are neither happy about the promises and blessings of God nor are they sad about the potential wrath of God. But the movie is encouraging us believers to continue to Play the Flute - that is, to continue to tell others about the Good News! Netflix made for TV movie series. This is a remake of the famous Anne of Green Gables movie series. Unfortunately while the series gets off to a good start, the producers and director slowly put in gay and lesbian themes and the series ends in a out-right full celebrations of homosexuality. So if you are looking for a nice "family" movie remake of Anne of Green Gables, do not watch this series. Interesting to note that while this movie series shows good and bad heterosexuals, almost all the homosexuals (except the one male teacher) in this movie series are portrayed as really, really good people and none of them are "immoral" and all the bad people in this movie series are heterosexual. If the homosexual agenda does not bother you then this movie has very good filmography, very good acting and enough twists in this "new" story to keep you interesting in watching the next episode. We should clarify that there are two Seasons: the Season 1 Series is very good and shows less of the hidden agenda of the producers and the director and the screenwriters; it is the Season 2 Series that glorifies the homosexual life styles. However, both Seasons also have too much violence and dark material for children to watch. The flashbacks to Anne's orphanage days are too disturbing for young minds and probably will cause nightmares in children. We recommend this movie to mature Christian adults. WARNING: We know very little historically about Jesus as a young child; it is mostly myths and traditions. However, we enjoyed this movie very much. 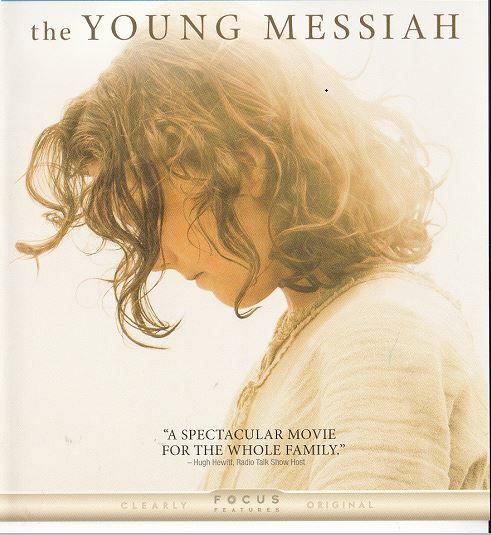 They did a good job of taking all the myths and stories and filtering them into a cohesive, inspiring and a believable fictional account of the Young Messiah. NOTE THIS MOVIE IS NOT FOR YOUNG CHILDREN or even young adults who are not firm in their Christian beliefs. We think letting young people see this movie may only confuse their immature faith. Also this movie has much violence and very serious drama - like when the devil is tempting the young Jesus. One part of this fictional story that we enjoyed was when young Jesus defends his earthly father Joseph before the Jewish rabbis. We call this scene, the Defense of Carpenters. WARNING: There are some biblical inaccuracies. The most glaring one is that Ascension of Jesus into heaven months after his resurrection is witnessed in the movie by only a handful of his followers; but we have historical records that the Ascension of Jesus was witnessed at least by 500 men not counting women and children.